This one is not challenging the law based on Second Amendment grounds, but rather based on the Supremacy Clause, and the Federal Aviation Administration Authorization Act (FAAAAAAAAAAA, or something like that, for short). How likely is success? In February 2008, a unanimous United States Supreme Court struck down Maine’s directly analogous law regarding the delivery of cigarettes to Maine in Rowe v. New Hampshire Motor Transport. Rowe made clear that a state cannot interfere with a carrier’s rates, routes, or services, because Congress made an important decision to protect common carriers from a patchwork of state and local regulations burdening interstate commerce when it enacted the Federal Aviation Administration Authorization Act (FAAAA). The FAAAA specifically prohibits state and local governments from interfering with common carriers’ rates, routes, or services. It would seem very likely, in this case, that this part of the California law is a violation of the FAAAA. But the state could still criminalize the receiving of ammunition via common carrier that the state considers to be a regulated product. The issue here would only be that the requirements that California imposes on Common Carriers is unconstitutional. You can find the complaint here. I am happy to see the Owner-Operator Independent Drivers Association, Inc on this lawsuit. It’s always seemed to me that it was a natural alliance. Truck drivers spend time traveling, often in seedy locations. Their need for personal protection is acute, and they are inhibited by the patchwork of onerous firearms regulations from exercising their rights. I should also note that this will at least allow Californians to get some ammunition. The logical move, in the facts of this California ammunition law, is for Common Carriers to refuse to ship ammunition to anyone in California, rather than trying to sort out the good, bad and the ugly. 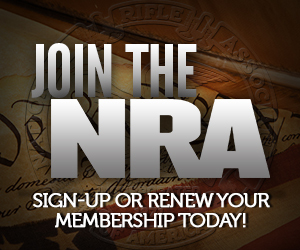 Maybe even help with bans on C&R and CMP mail ordered firearms? But you have to realize where this is and how loaded the decision will be. After all we all know what court there going to use and the amount of anti-freedom sentiment those courts have. Not to say that there biased… Oh, wait I am. I don’t see the issues being the same in these two cases. In the Maine case, Maine wanted carriers to verify recipients ages (to verify they were over 21). In California, California doesn’t want ammo shipped to private parties. ?????? The issue, though, is that states are pretty much completely preempted from putting requirement on common carriers.